Yes! Can I just tell you how excited I am that I met the deadline for this FAL?! 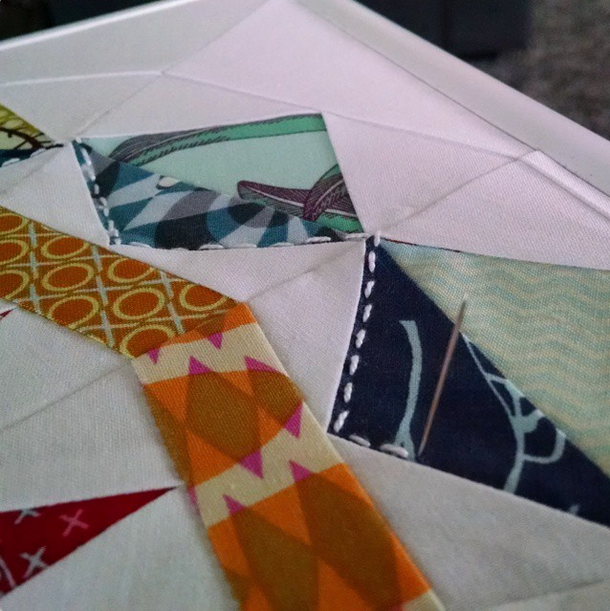 This Finish-Along event has been one of my favorite blog events for, well, since I started blogging about quilty stuff! But I don't think I've linked up for over a year and a half. I just keep forgetting and missing the deadline. Well, not this time! I put it on my calendar, so every day I've gotten a reminder on my phone to link up. And even with that, look at me... I'm still squeezing my entry in under the wire! (The proposed finished list link up ends today.) You can read all about this over at On the Windy Side. 3. 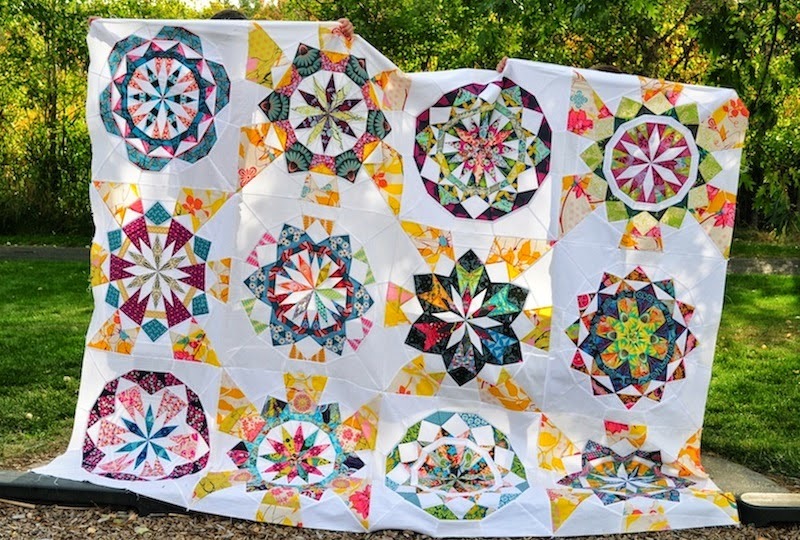 Kaleidoscope Quilt. 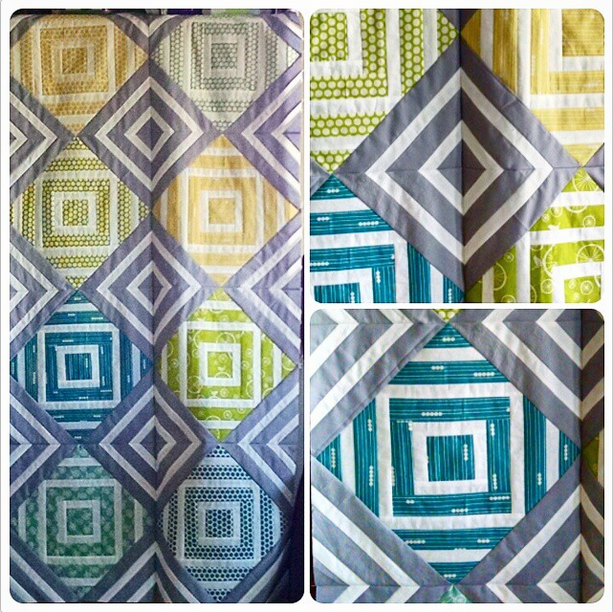 I made this quilt as part of Elizabeth's QAL that she hosted years ago! (at Don't Call Me Betsy). I was going to piece a back for it, but never did. I finally just bought some bright yellow minky for the back when I bought the purple for my Halloween quilt. Minky on the back of a quilt is definitely my favorite! 4. 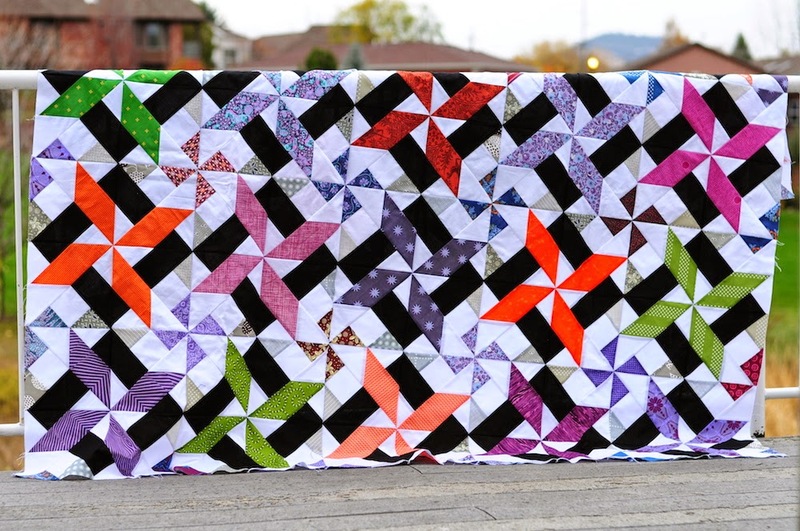 I'll also baste my Celestial Star Quilt, but I want to hand quilt it, so I doubt I'll finish it. But who knows. 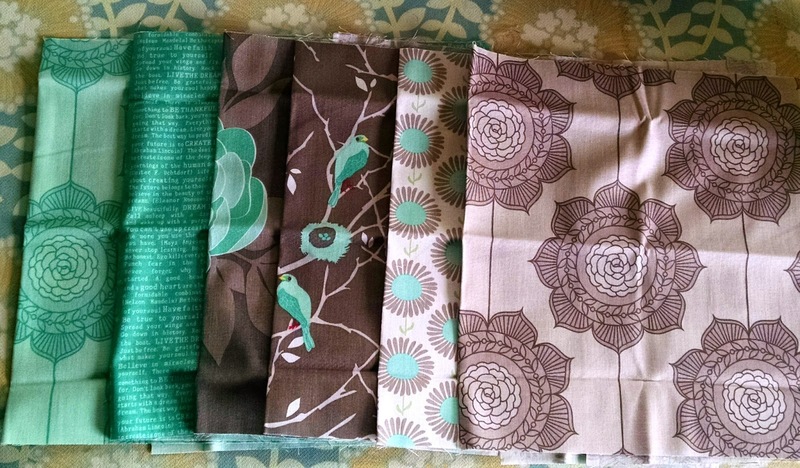 Maybe in a few ones I won't want to move anymore, and then it will be the perfect project! & 8. 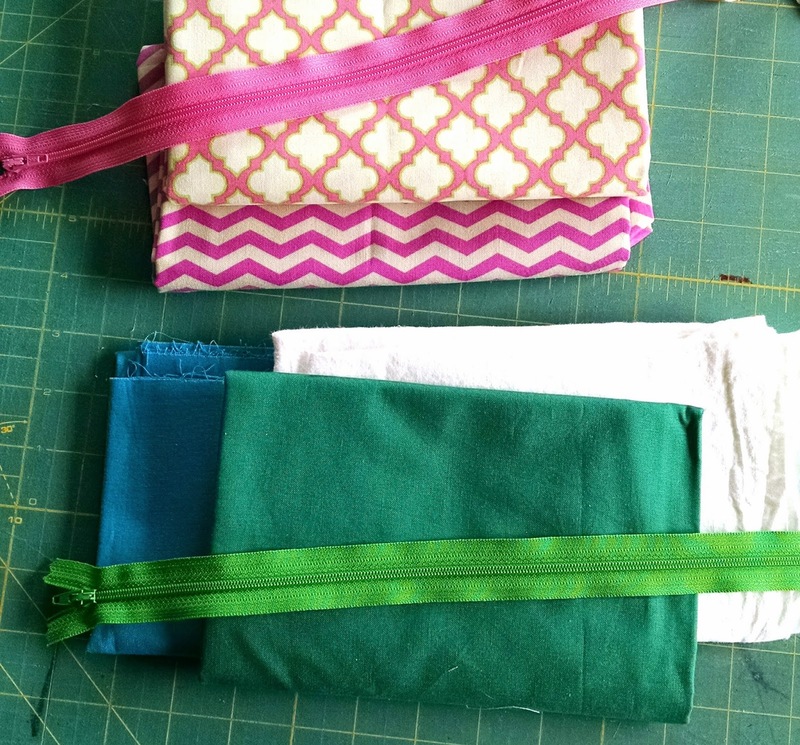 Coin pouch for Mabel. They both want a little pouch to carry their money in so they can bring it with them to the store and buy toys... every time we go shopping! (They don't have that much money - but they like the idea of it!). :) They picked out the fabric they want, and I've drawn up the dimensions I need to cut out, but that's as far as I've gotten. 9. Riley Blake Challenge project. 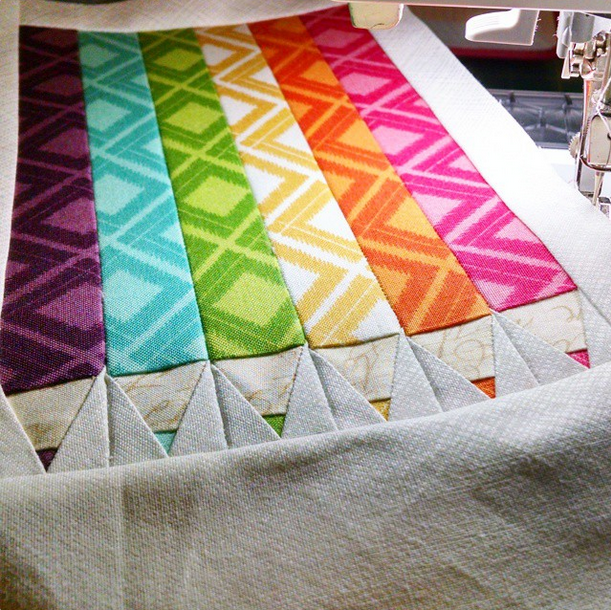 I'm going to follow Cristy's Craftsy class: Pain Free Foundation Piecing, and try some paperless paper piecing, using my Rockstar pattern. I'm really excited about it!! 10. 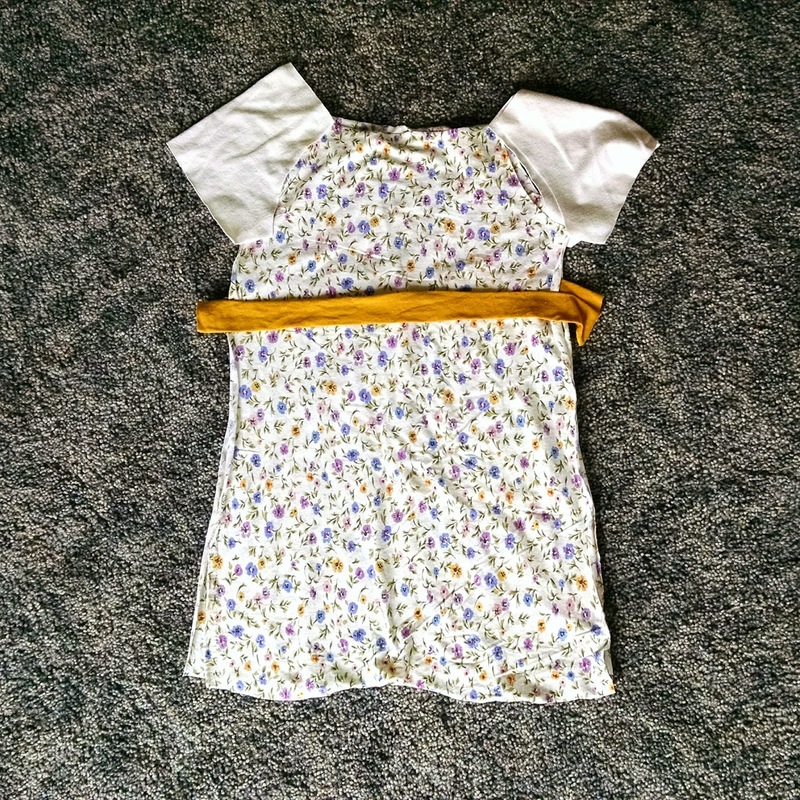 I cut out a Charlotte dress for Mabel quite a while ago, but haven't gotten around it sewing it up. Which is silly, because it's so fast! So hopefully I'll find an extra minute to get that done. :) I really love this with the band of mustard yellow!! 11. 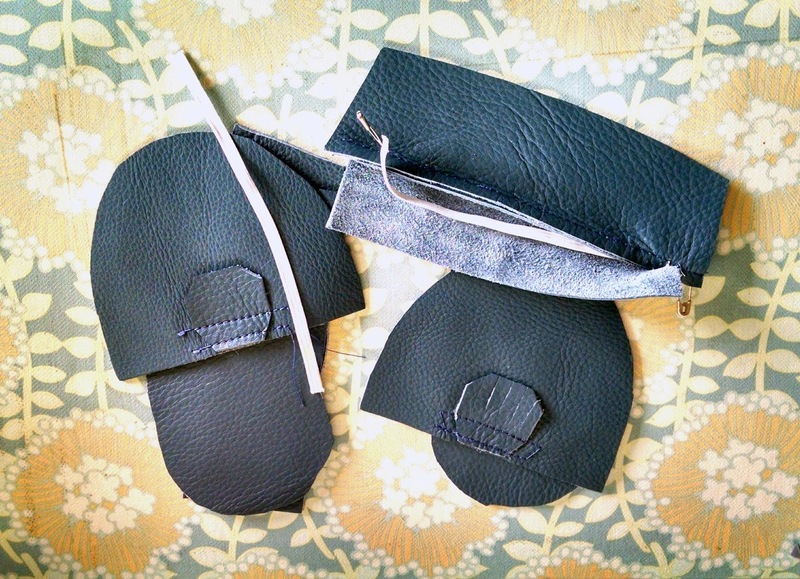 I started these leather moccasins for Tommy last month. I wanted some practice so I could make some nice ones for the baby girl. But sewing through two layers is proving rather difficult, so I'm taking a small break. I hoping I can figure out what is going wrong and get these finished soon. Tommy loves shoes!!! So I'm sure he'll love these too. And... I think that should be good for this pregnant lady. ;) Crossing my fingers that my nesting tendencies kick in extra early!! ha! 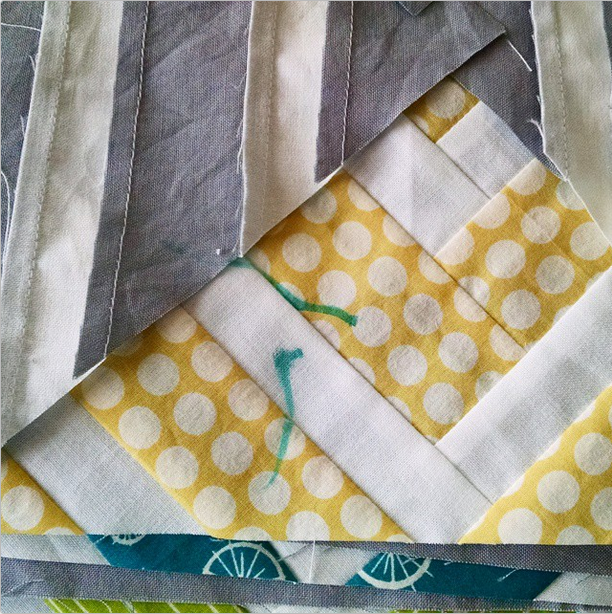 What are you working on and/or hoping to finish up soon? Labels: FAL, in progress, W.i.P. Beautiful projects! Tommy's quilt looks amazing! That's a lot on your plate. 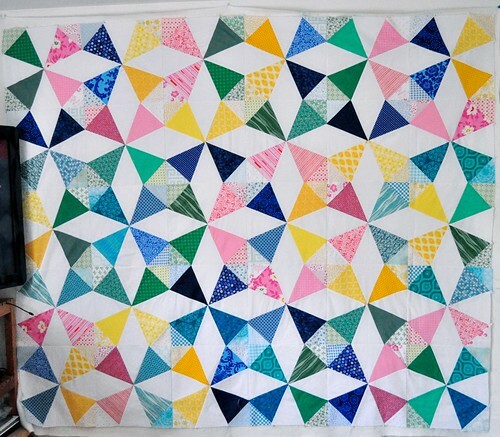 All good stuff - Tommy's quilt has such a wonderful flow. 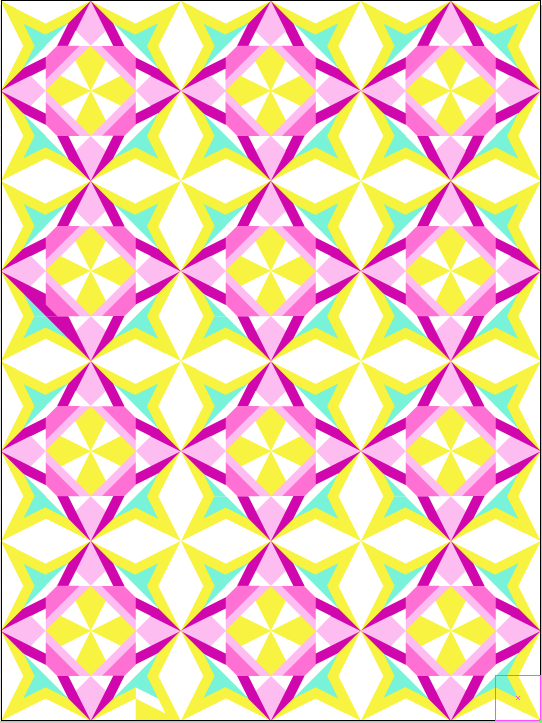 New Pattern: Rockstar! A SALE! and a Giveaway! What Makes Me Happy Today?? ?